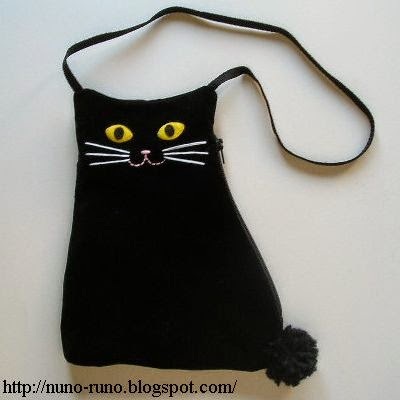 Small bag of lying cat. Cut cloth. Add seam allowance. 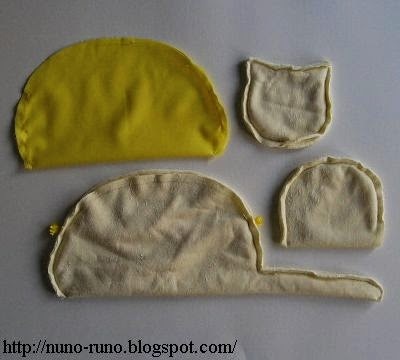 Sew up each part except the opening. 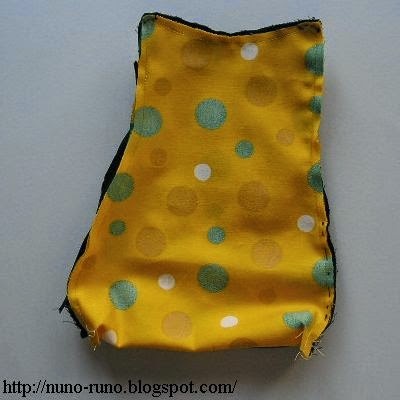 Attach fastener (20cm) and strap to the outer pouch. Stuff polyester fiberfill a little in the head. 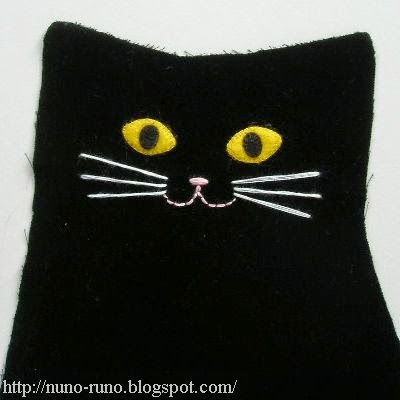 Embroider the eyes, the nose and whiskers. 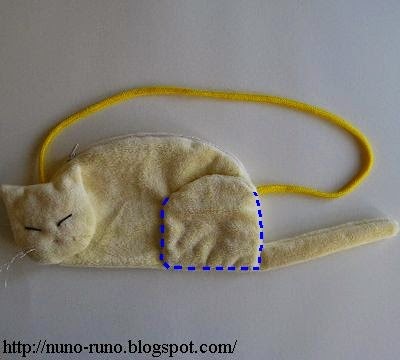 Sew the head and the hind leg to the body. This leg becomes a pocket. 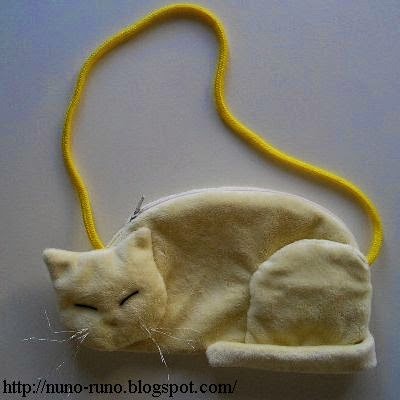 Sew the end of the tail to the body. 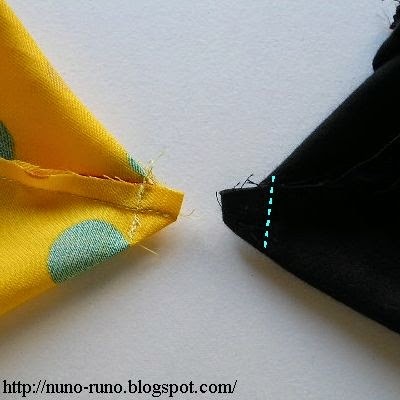 Sew the lining to the fastener. 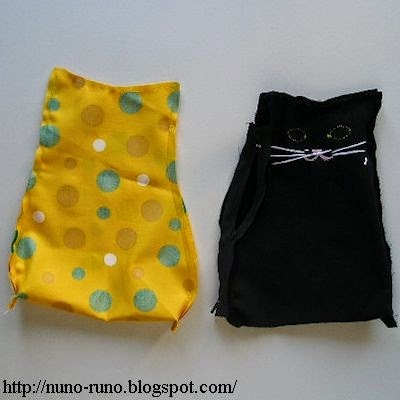 Cloth pouch in cat shape. 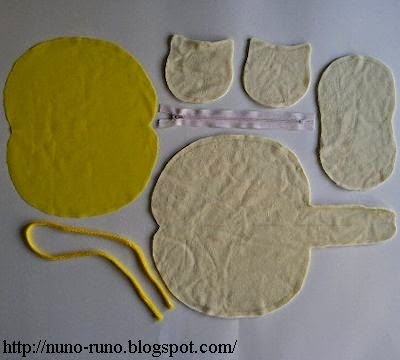 Materials are cloth for surface and lining, 15 centimeter fastener, felt for eyes, and strap. Cut cloth added seam allowance. 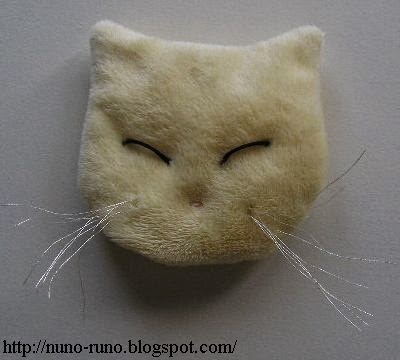 Make features by applique and embroidery. 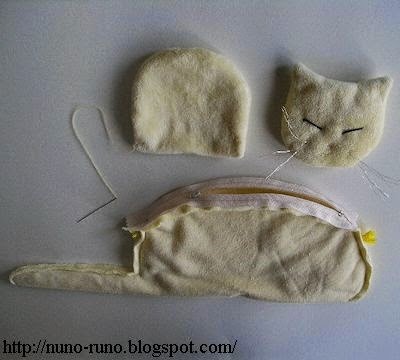 Sew the outer pouch. 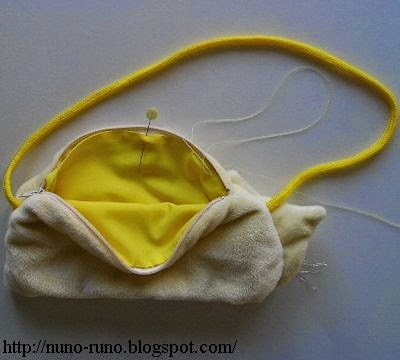 Put the ends of a strap between ears. You may omit strap. 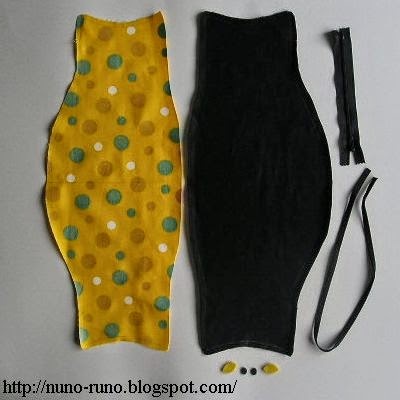 If you want thickness, sew the corner of the bottom. Sew up both allowance roughly and partially. You may omit. If you like, attach a pompom to the hip. 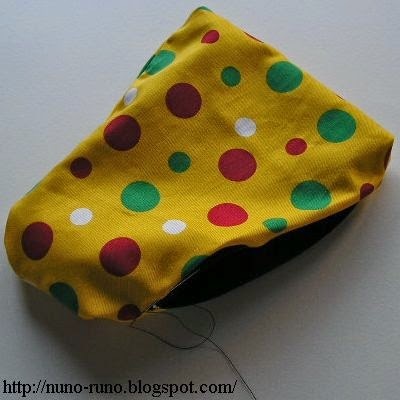 Whip the lining to the fastener.